Like chocolate and peanut butter, some things consistently go great together. That metaphor can easily be applied to Klipsch’s on-going partnership with THX®. Back by popular demand, the Klipsch ProMedia 2.1 THX® Certified Computer Speaker is ready to take your gaming and streaming to an entirely new dimension. Wait, Who is THX® Again? Developed by legendary Star Wars creator George Lucas and audio pioneer Tomlinson Holman, it was born out of his dissatisfaction with the haphazard quality of projection and audio as implemented in movie theaters around the country. The pair figured the reason a movie could look and sound great in one cinema, but absolutely terrible in another was a lack of a common, and high-quality technical standard. So, they did what any passionate innovator would do - create a new standard and called it THX® (based on the name of a student film Lucas made at USC and “Tomlinson Holman’s eXperiment”). 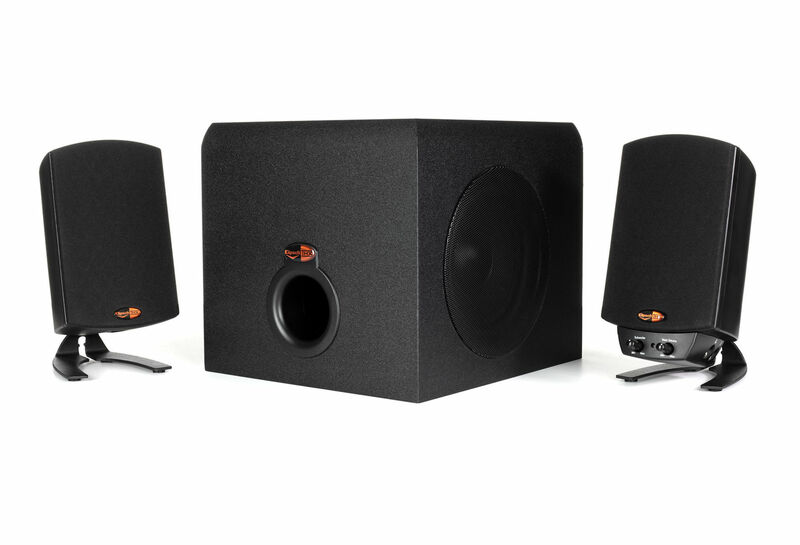 When Klipsch set out to create the new ProMedia 2.1 THX® Certified Computer Speaker system, it wasn’t with the intent of just creating great speakers for gaming. It was to create the best desktop audio experience-period. To do that, Klipsch couldn’t just create a small set of powered speakers. They wanted to design the smallest footprint Klipsch speakers we’d ever made. This meant taking one of the most of the important developments in audio reproduction, the Klipsch Tractrix Horn, and finding a way to incorporate it into a speaker cabinet that’s only 8.5” tall. Spoiler alert: It happened. It’s called the Klipsch MicroTractrix® Horn and you’ll hear it loud and clear on these new speakers. Paired with a 200-watt amplifier and a 6.5" subwoofer, the Klipsch ProMedia THX® Certified 2.1 Computer Speakers create an immersive sound experience where you'll hear everything, right down to a person’s breathing. A THX® Certification means what you’re getting has been tested...a bunch. For video products, like TVs and projectors, the THX® standard specifies levels for the accuracy of color reproduction and image sharpness. Speakers, on the other hand, must pass more than 2,000 tests to verify the levels of seven different attributes, including sensitivity, impedance, and frequency response. If a product doesn’t meet the seven benchmarks, it will be sent back to the manufacturer for further modification and testing. THX® strives to give you a true plug-and-play experience, with top-notch audio quality settings already in place when you take the speakers out of the box. Essentially, a THX® Certified product is a guaranteed grand sound experience.